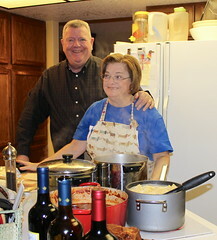 Ditalini brought several secret family recipes to our marriage (her wonderful Italian meat sauce is one), but one I never quite got was the recipe for Uncle Art’s beans. Over the years I’ve tried chili recipe after chili recipe. This is the one I finally settled on.